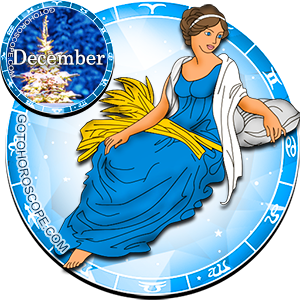 December 2010 Horoscope Virgo, free Monthly Horoscope for December 2010 and Virgo Astrology Forecast for the month ahead. 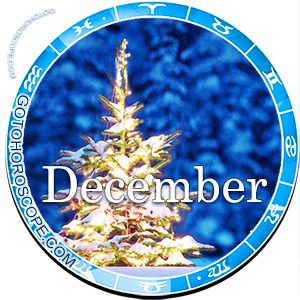 For a typical Virgo, December 2010 will be a month of opportunities at work and business, up to promotion at work and development of new activities in connection with suddenly emerged promising opportunities. Virgo needs to be initiative and active because a still stone gathers no moss. Natural practicality and accuracy will help Virgo cope with all challenges including the most complex ones since most businesses in December 2010 would require thoroughness and accuracy in work and decision-making. The first decade of the month will be more active, things may go in succession, accompanied by problems that need to be addressed immediately. However, the second half of the month has a smoother and steady flow, but this period is dangerous for adventurous enterprises, which rivals or envious persons could engage in. During this period, Virgo should carefully verify all information and documentation, be cautious and prudent in matters especially financial ones. At the slightest suspicion of immorality of an upcoming event, Virgo should abandon it and defer a decision on financial matters to a more appropriate period. In December 2010, Virgo can plan business trips or will go for a journey spontaneously taking decision on that. These visits will bring the member of this zodiacal constellation a lot of impressions, while an unmarried Virgo in one of the trips may meet with his/her love. Virgo individuals should at all times maintain calmness and serenity - even when they are being drawn into conflict and subsequently used for gossip and misinformation. Virgo should be above cheating and focus on his/her primary task - creating a base for future endeavors at work. Until year end, members of this zodiacal constellation must resolve all pending cases, so as not to be distracted in the future by solution of chronic problems that would cost them strength and resources. 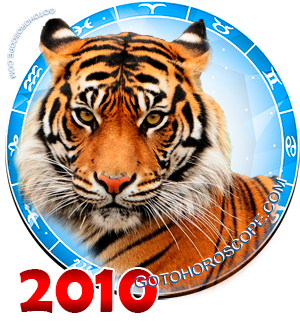 The last decade of December 2010 is an excellent platform for Virgos to show their creative talents, both at work and in leisure-time. Virgo individuals will happily engage in executing essential businesses in a team assigned to them by the management, and will prepare nice holiday surprises for their colleagues and friends. Virgo's private life in December 2010 will be very active and lively, and this will be expressed in form of many flirting, dating, rapid development of relationships and passion between partners. A Virgo who is always reserved will finally get rid of all complexes restraining him/her and begin to live openly and actively. Unmarried Virgos will easily arrange their own destiny because the planetary interactions will promote love affairs and passion to members of this zodiacal constellation. Married Virgos will be preoccupied with domestic affairs as well as organization of holidays for children. Although relationship between the two lovers is very strong and their feelings will only increase with time, but Virgo should postpone a decision to marry to the next month without taking it hastily to avoid errors.